As the citizens of Moore, Oklahoma struggled in the aftermath of a scale-topping tornado, hundreds of organizations mobilized to assist in the relief efforts. In under 24 hours, groups such as the Red Cross and National Guard were on hand providing food, shelter and comfort to this devastated community. More important than supplies, these disaster relief organizations bring valuable experience and planning to these devastated communities. Unfortunately, most communities lack individuals with disaster preparedness training, often resulting in a lack of action during those critical first hours. Getting a head start on tackling issues can save time and provide direction to scared community members. It is difficult to think of the worst happening and as a result, many individuals and businesses avoid planning for such a situation. 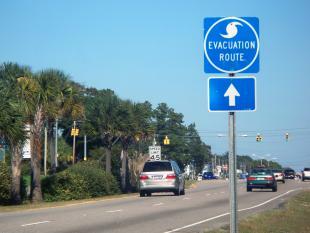 In a 2009 survey performed by FEMA’s Citizen Corps, less than half of individuals reported “having participated in a workplace evacuation drill”, with only 14% having practiced a drill at school or in their homes. Training employees in disaster preparedness not only can prevent injury in the workplace, but also encourage planning in the home and in the local community. There are lots of great resources for individuals and business to create an emergency preparedness plan, as well as train employees on basic procedures. The American Red Cross provides a comprehensive checklist for a disaster kit, as well as useful tips for planning around children, pets or a household member with a disability. Educate yourself on the risks to your community: floods, tornadoes, earthquakes, etc. Research emergency routes provided by your city and state. Share your findings with your family and fellow employees. Based on the information, discuss possible situations and steps to ensure everyone’s safety. Contact your insurance provider to understand your coverage and most common claims for the area. Have a basic emergency kit at your home, office and in your car that includes basic first aid, bottled water, food and a battery powered radio or cell phone charger. When disaster strikes, everyone must pull together. By educating your employees, you’re not only protecting them in the workplace, but also building knowledgeable leaders that can implement change in their homes and share best practices with the local community.